It was our last day in Tokyo. Although we weren’t leaving until the early evening, we had finished packing by 10am and found ourselves with time to kill. Should we go see one last museum? Take a leisurely farewell stroll through our favorite neighborhood? Or… should we scarf down a final fix of ramen and spend our last couple hours in Tokyo playing video games? 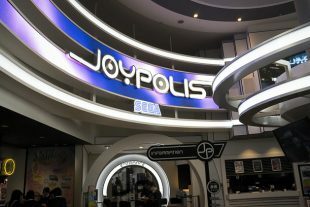 Sega Joypolis, here we come! The Cute is everywhere in Tokyo, and you’re not going to escape it. You shouldn’t even try. This is a city with fluffy animals on every corner. 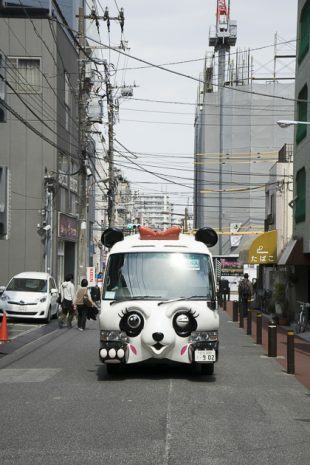 Where buses prowl the streets disguised as pandas. Where every corporation and even the police force have their own charming mascot. The Cute cannot be avoided, so you might as well embrace it. The most popular spa in Tokyo is found on Odaiba Island. The Ooedo Onsen Monogatari isn’t cheap, but it offers more than just hot baths. 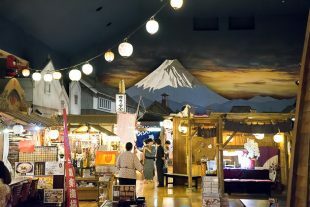 While inside, you can dine at a variety of restaurants, sleep in a capsule hotel, watch TV, or enjoy the festive atmosphere in a hall designed to evoke Old Edo. 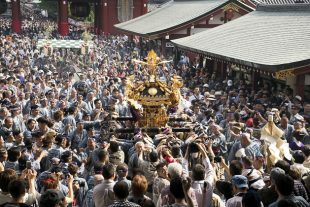 The best known of Tokyo’s Shinto festivals is surely the Sanja Matsuri, based in and around the Sens&omacr;-ji Temple. For three days in late May, the streets of Asakusa transform into a wildly drunken party zone. We braved the throngs on Sunday, which is the festival’s main day. 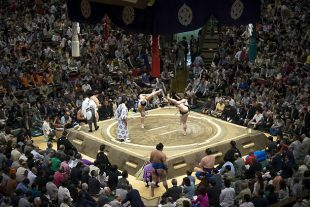 We were lucky enough to be in Tokyo during the Summer Sumo Tournament, the Natsu Basho, and bought tickets as soon as they became available. 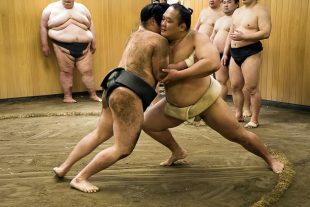 Sumo is one of Japan’s most famous cultural products, and we were determined not to miss out. 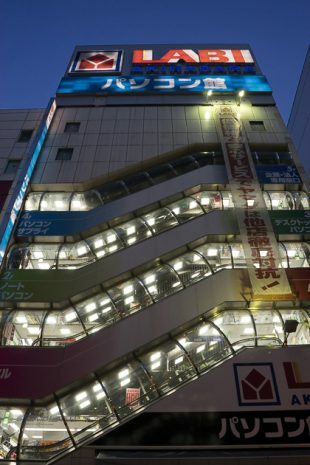 The great Mecca of otaku culture, Akihabara is home to innumerable shops dedicated to anime, manga, cosplay, trading cards and collectible figurines. The world’s first Maid Cafe was established here, and you can also find cheap electronics stores, grand arcades, multi-story hobby malls, and much, much more. It sounds wonderful, so we were surprised when we didn’t like Akihabara all that much. 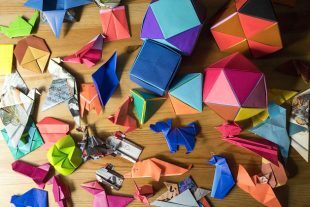 Almost everyone knows a little about origami, the Japanese art of folding paper. But for a deeper understanding, we visited Tokyo’s Origami Kaikan (Origami Center) in Bunkyo, where we had the opportunity to learn at the feet of an ancient sensei. We quietly filed into the stable and after bowing to the sensei, sat cross-legged on the ground. For the next couple hours, we were to remain as still as possible, while the sumo wrestlers of the Kitanoumi Beya Stable conducted their morning training session. Trust me, I wasn’t going to move a muscle. I wanted to avoid the attention of these behemoths by any means necessary. 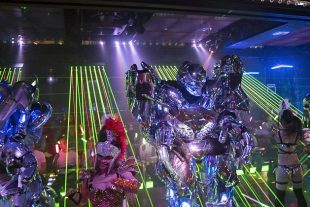 It’s hard to imagine an experience more perfectly suited to Tokyo, and one less likely to exist anywhere else, than Shinjuku’s Robot Restaurant. With a stage show that stretches the definition of terms like “elaborate” and “bizarre,” the restaurant has quickly become one of the city’s most popular venues. You’ve been to a casino, right? The ringing sounds, the stale stench of tobacco, the confusion, the sad people so desperate to be happy? All that is familiar. 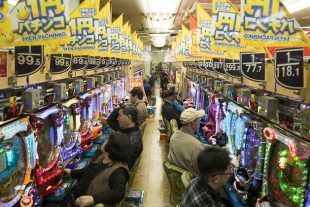 But a pachinko hall takes the wholesome goodness of a casino and condenses it down to its most vile. It exaggerates the sensory overload beyond belief. ¡¡MAXIMIZES THE SOUND!! 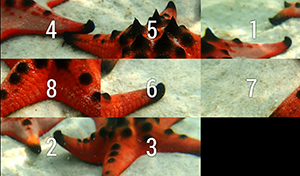 Multiplies the confusion. Doubles down on the hopelessness. And achieves the impossible, by creating a place of gambling in which I have absolutely no interest.